Substations take many forms – buildings, open compounds, underground chambers. We’ll explore these further when we post more pages at a later date. 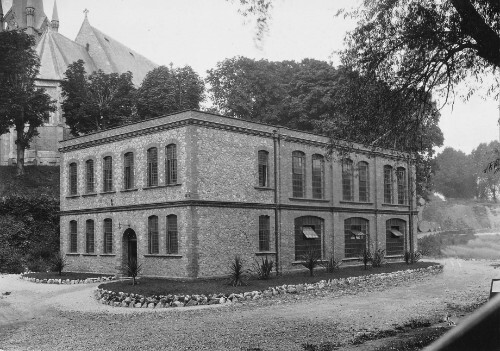 SWEHS 18.1.040.jpg – Date 1924 – Upton Valley sunstation and offices. Devon, Torquay . 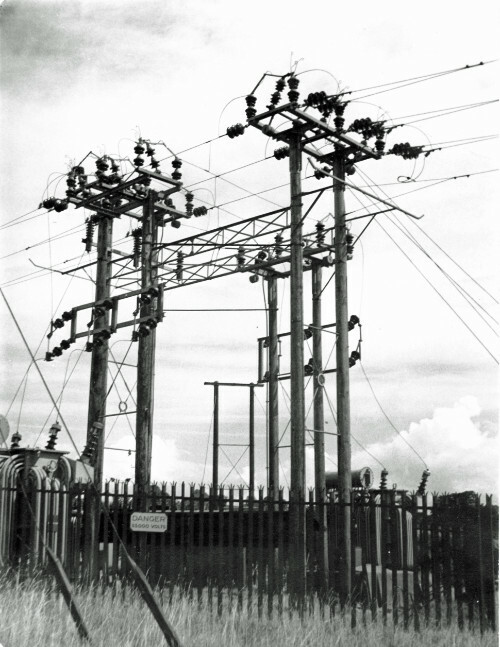 SWEHS 13.0.009.jpg – Date c1935 – 33/11kV substation. Unknown . 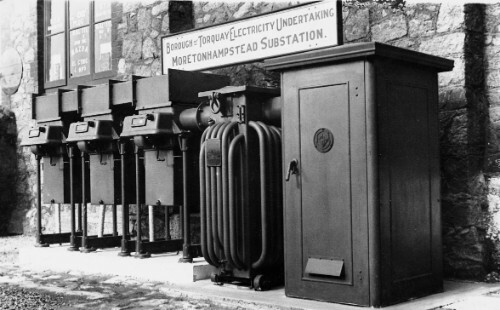 SWEHS 18.1.012.jpg – Date c1930s – Borough of Torquay Electricity Department Torwood substation with 2,000 volt gear on right. Devon, Torquay . 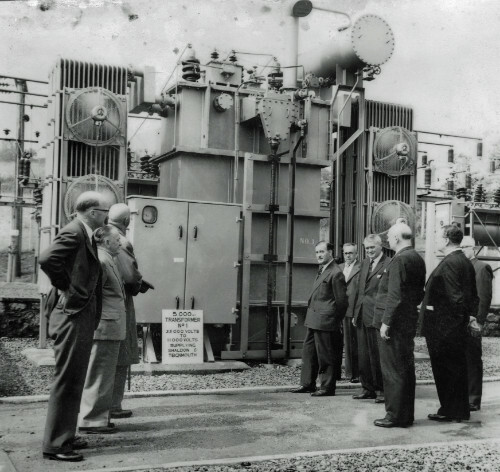 SWEHS 18.2.028.jpg – Date 1940 – 1947 – Newton Abbot generating station outdoor, mesh connected 33kV substation at Forde Road. Devon, Newton Abbot . 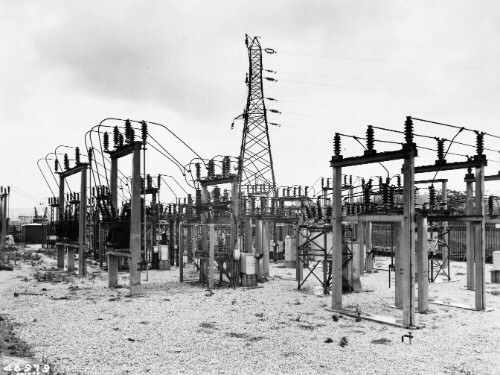 SWEHS 9.0.090.jpg – Date c1960 – Higher Woodway Road 33/11kV substation. 5,000kVA 33/11kV transformer supplying Shaldon and Teignmouth. Teignmouth . 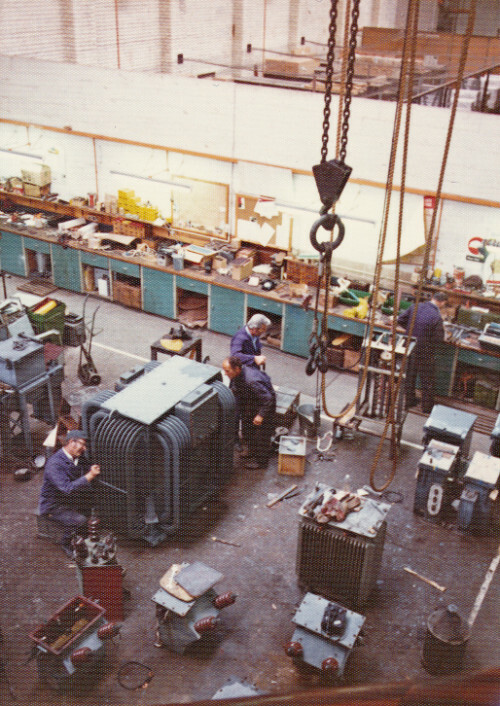 SWEHS 11.0.061.jpg – Date 1984 – Haven Road SWEB engineering depot. Devon, Exeter .